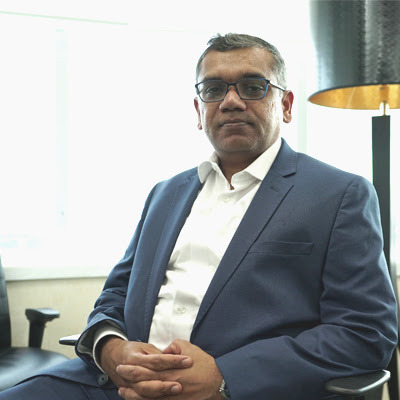 Societe Generale announces the appointment with immediate effect of Sunil Shah as Chief Executive Officer (CEO) of Societe Generale’s solution centres: Societe Generale Global Solution Centre (India) and Societe Generale European Business Services (Romania). Sunil joined SG GSC in 2011 as Head of ITEC. Since 2015 he is leading all delivery verticals as Deputy CEO of SG GSC. Sunil has over 25 years of experience in IT and BFSI industry groups. He joined Societe Generale Global Solutions Centre in 2011 as Deputy CEO and was responsible for Operations, IT and KPO services. Prior to that, Sunil has worked with Fidelity for over 7 years and led the asset management IT team. He also worked with Infosys for over a decade managing large programs for financial services firms and consulting assignments across India and global locations. Sunil holds a Computer Science Engineering Degree from the University of Mysore, and an MBA from INSEAD, Singapore and France.